The HDCstim is the stimulator used to deliver tDCS. The HDCstim is the stimulator used to deliver tDCS and requires the overseeing clinician/researcher to pre-program the stimulation using a HDCprog. 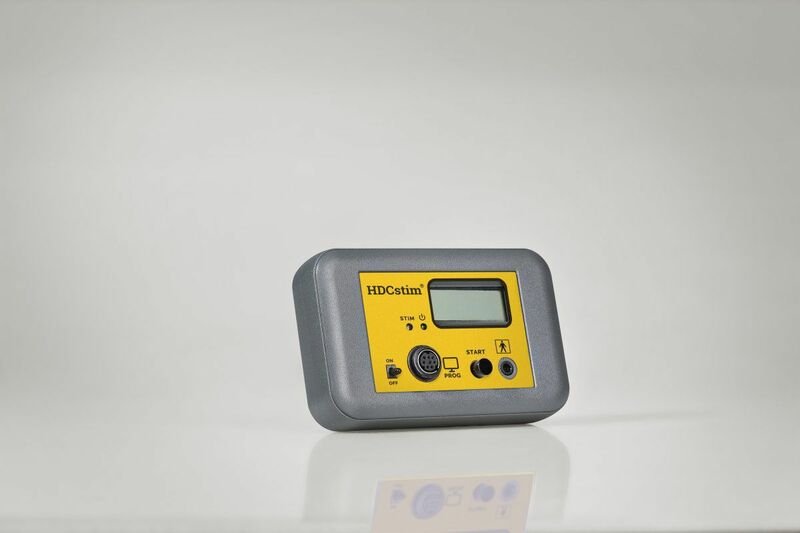 The HDCstim is lightweight, portable and easy to operate, allowing the subject/patient to self-administer the preset stimulus when required.